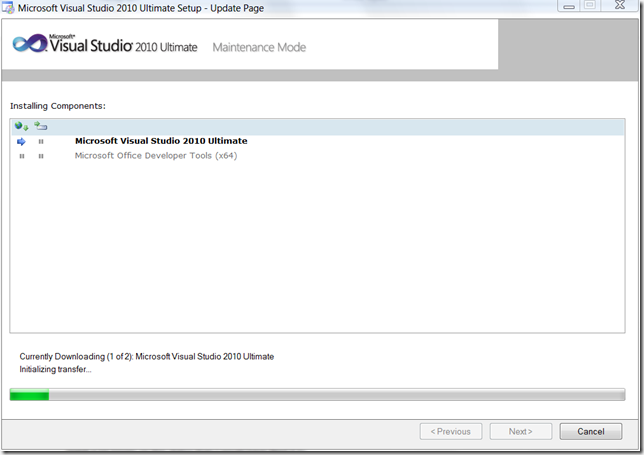 With the arrival of “The Beast” I did a new installation of Visual Studio 2010 Ultimate. Usually, when I install a laptop I download every installer that I’m ever going to need and I put them all on an external hard-drive should I ever need them again and I then run them from that hard-drive. That way, I build a catalogue of what I’ve installed. This time, I decided to be all modern. I figured that all the software that I use is out there on the internet anyway and I can easily just install it any time I wanted it ( yes, I know – hopelessly naive ). 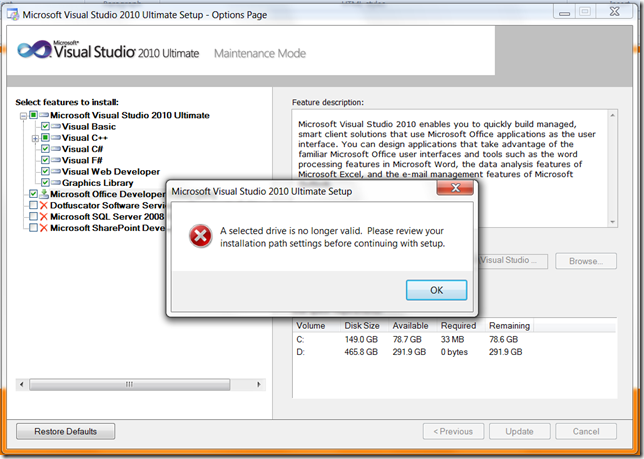 And so when it came to installing Visual Studio 2010, I just went to MSDN and installed via the Web Installer and then I applied Service Pack 1.
saying “A selected drive is no longer valid”. [07/22/11,09:29:23] vs70uimgr: Entering DisplayMessage() method. 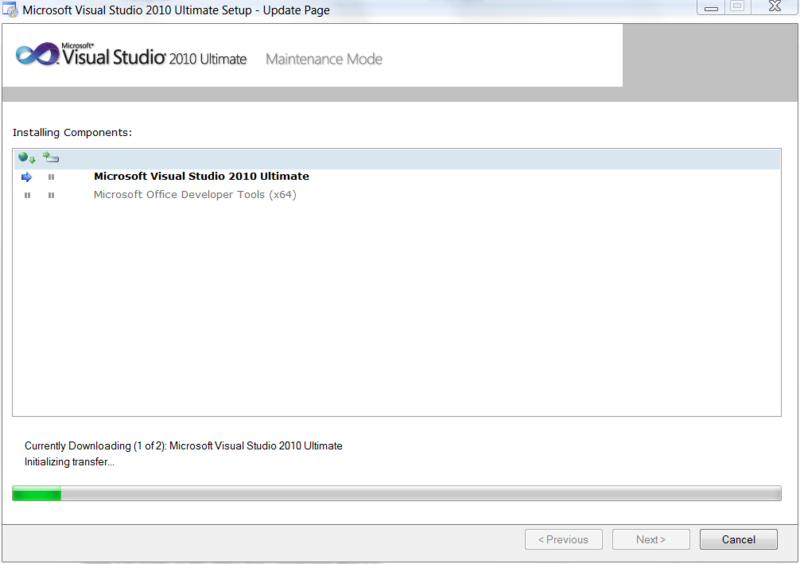 [07/22/11,09:29:23] vs70uimgr: DisplayMessage_START:A selected drive is no longer valid. Please review your installation path settings before continuing with setup. [07/22/11,09:32:44] vs70uimgr: DisplayMessage_END:A selected drive is no longer valid. Please review your installation path settings before continuing with setup. [07/22/11,09:32:44] VS70pgui: A selected drive is no longer valid. Please review your installation path settings before continuing with setup. 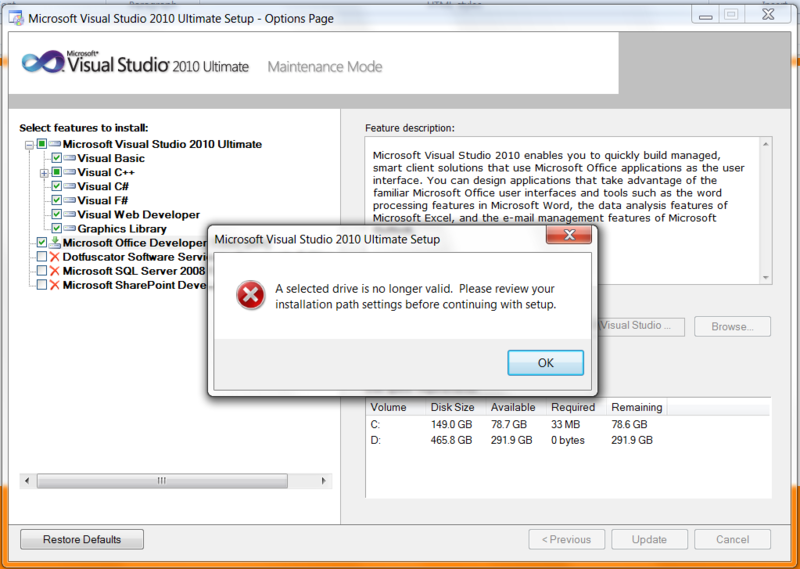 Aha – so maybe it’s the Visual Studio 2010 Async CTP that’s breaking it? I dropped back into Add/Remove programs and found the 2 components of the Async CTP ( you have to go into the “installed updates” section and search for Async – this is documented in the Async CTP uninstallation notes ) and removed them and then rebooted.